The cost of full-time childcare in Vancouver has gone up from 2 to 4 per cent and parents are year long wait lists. Wendy Xiang and her husband moved to downtown Vancouver for his job two months ago, but she's already considering leaving because she can't find daycare for their two-year-old son, Felix. "I thought it would be hard in the city, but I didn't expect it to be this hard," Xiang said. "It feels unreasonable.There are so many kids and families here. I don't know how they — I don't know how I am going to survive here," said Xiang, who moved from Singapore and now lives downtown. "Basically, the waiting list is between one to two years," she said. She says until she finds full-time care, she can't go back to work. Her struggle to find daycare is shared by thousands of other parents. 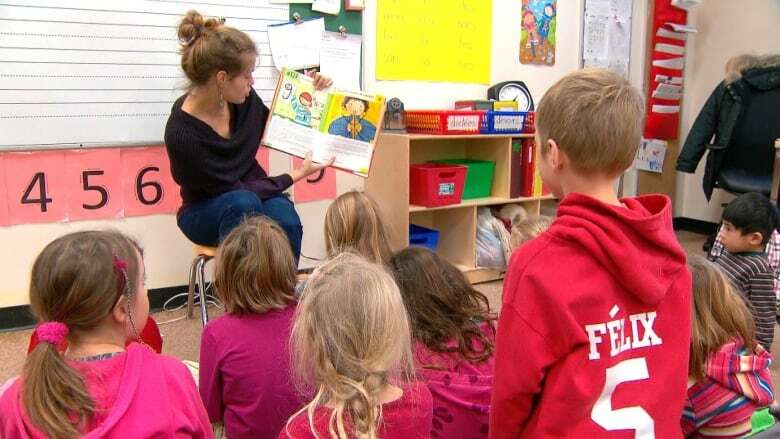 Major licensed childcare facilities in Vancouver already have 2,000 to 3,000 children on their wait list, according to Westcoast Child Care Resource Centre, a resource for early childcare educators and parents in the City of Vancouver. "There is only enough space for 20 to 25 per cent of children that need it," said executive director Pam Preston. "The reverse of that is, 75 to 80 per cent of children who need it cannot find it in the licensed, regulated market," she said. With year-long wait lists many are told to sign up for daycare as soon as they find out they are pregnant. "I don't know how many people said to me when I said I was pregnant, Oh, are you on any daycare lists? That was almost the first question I got asked," said Sarah Stephen, who decided to give up on daycare and instead get a shared nanny. "It was crazy," said Kathryn Gibbons, who put her child on wait lists while she was pregnant. "I remember filing out forms with 'what's your child's name?' and it was like ...'uhm ... unknown child of or TBA," said Gibbons. Gibbons was able to get her child into daycare, after being number 200 on the wait list just three months before she was scheduled to go back to work. But for others, like Terra Atrill, it was more cost effective to be a stay-at-home mother, instead of sending her twins to daycare and finding after school care for her 10-year-old. "I would've had to really increase my income in order to cover the cost," said Atrill. "It just didn't make sense financially or realistically," she said. A recent fee survey showed that daycare costs have increased from two to four per cent in the last year. The average cost of monthly full-time care for an infant (six weeks to 18 months) is $1,437 in Vancouver, where as last year it was $1,408. "Add that to your living expenses, add that to your travel expenses, stress of maintaining a household while doing all this dropping off and picking up and preparations. It is pretty crazy," said Atrill. The B.C. government recently awarded $11.3-million in capital funding to create childcare spaces across the province, but critics say that doesn't help families struggling to find and pay for quality childcare. "Unfortunately they're still going to be unaffordable for most working families,"said Sharon Gregson, who speaks for the Coalition of Child Care Advocates of B.C.